When everything is going according to plan, plumbing services are the last thing on your mind. But once something breaks, once the garbage disposal is clogged or the toilet won’t flush or the hot water heater is on the fritz, then finding a plumber you can count on becomes the most important thing in your day. When you need a plumber to come quickly and you need them to do the job right, call Emergency Plumbers Chicago! You’ll be glad you did. We understand how disruptive a plumbing problem is. That’s why we go above and beyond just making sure we know how to do the repair. We also respond to our call, get you scheduled quickly, arrive when we say we will and get the job done as quickly and economically as we can. We’ll always treat you and your home with respect so that you can have full confidence in the plumbing services we provide. When you need plumbing services you can count on Emergency Plumbers Chicago to do the job right and do it quickly and competently so that you can go back to thinking about the things that are truly important. 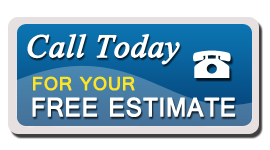 Call us today to take care of your plumbing needs. We’re sure that once you’re used our company once, the next time you need plumbing services you won’t have to think twice about who to call.